Are you hoping to become a Maryland state police officer? JobTestPrep is here to help you achieve your dream job. You can learn everything you need to know about the Maryland police entry exams and find out how to navigate your way through the competitive application process with ease. Prepare with JobTestPrep for your Maryland police officer exam using our comprehensive practice resources including practice tests, explanations, study guides and more. Start practicing today and apply for the police officer job with confidence. To become a Baltimore police officer you must take the Baltimore City Police Officer Test. The test is known as the Municipal Police Selection Test (MPST). The MPST is designed to test your abilities in areas that are important for success as a police officer. It tests your ability to learn, remember and apply facts and information; your ability to remember names, faces and other details about people and events; your ability to use logic and reasoning to solve problems related to police work; and your interests. You do not have to study the law or police procedures to do well on the exam. The test has four sections. Section 1: Observation and Memory: As a police officer you must be able to remember names, faces and facts in order to carry out investigations, deal with the public, recognize wanted criminals, etc. On this part of the test you are required to look at a series of "Wanted" posters for a short period of time, and then answer questions about those posters. You will not be able to look back at the material you studied when you answer these questions. Section 2: Learning and Applying Police Information: This section is designed to test your ability to learn and apply information. At the beginning of the test you will be given a study booklet which contains information related to police work. Later in test, you will be tested on how well you were able to learn what you read, and how well you can remember and apply information. Section 3: Interests: This section of the test is designed to find out more about your interests and preferences for a variety of activities. Section 4: Problem Solving: This section is designed to test your judgment in a variety of police-related situations. To join the Frederick County police department you must take the Entry Level Law Enforcement test by CWH Research. The exam consists of 168 questions. You will allowed 3 hours and 15 minutes to complete this exam. The exam is divided into four sections: Basic Skills, Judgment, Reasoning, Communication, Motivation, and other skills and aptitudes, Situational Questions, and Questions about You. To join the Howard County Police Department you must take a written exam. The written exam consists of 100 multiple-choice questions. You will be given 2 hours to complete the exam. The test is divided into five sections: interpretation, verbal problem solving, reading comprehension, writing skills, and quantitative problem solving. Part 1: Interpretations: On this part of the exam you will be tested on your understanding of charts, graphs and tables. Part 2: Verbal Problem Solving: This section measures your ability to review facts and determine the conclusion based on the facts given. You will need to decide if the conclusion given is true, false or uncertain. Part 3: Reading Comprehension: This section tests your ability to read and then comprehend what you have just read. Part 4: Writing Skills: This section tests your ability to identify the sentence that clearly and correctly describes a scenario or event. You will be given four sentences that describe the same incident. Part 5: Qualitative Problem Solving: This section will measure your ability to identify patterns and recognize relationships with numbers in a sequence. To be a State Trooper you must take the Police Standardized Testing Exam (POST). This exam tests your abilities in basic skills. The exam is divided into four sections: Mathematics, Reading Comprehension, Grammar and Report Writing Skills. 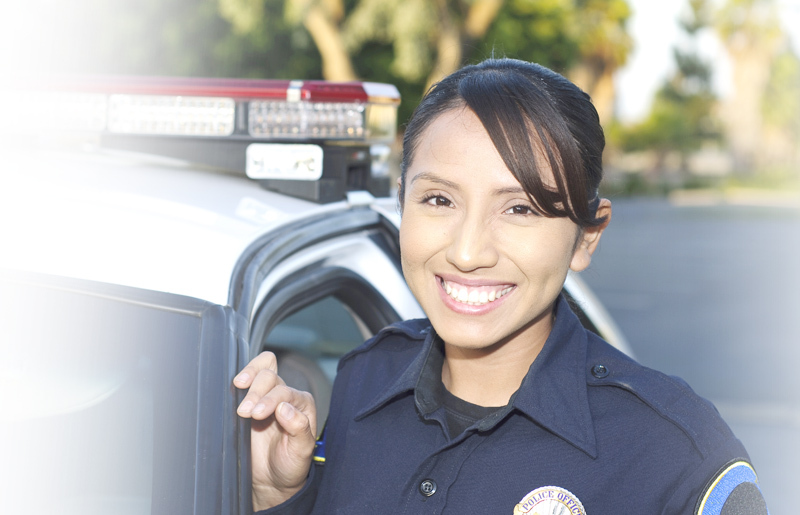 To become a police officer in Montgomery County, you must pass a written exam and an oral interview exam. These are both given on the same day. The written exam consists of 100 multiple-choice questions, a score of 60% or higher is necessary to pass. The exam lasts up to 3 hours. The oral interview exam referred to as the Qualifications Appraisal Board (QAB) lasts up to 1 hour. The QAB is a structured interview consisting of approximately 9 questions. You will be asked the same questions before a 3 member panel. To join the Ocean City police department you must pass the National Police Officer Selection Test (NPOST) by Stanard and Associates. The test measures the basic skills necessary to perform successfully as a Police Officer. The exam is divided into four separately timed sections which measure mathematics, reading comprehension, grammar, and incident report writing skills. You will have 75 minutes to answer 75 questions. You must achieve a minimum score of 70% to advance in the selection process. To join the Salisbury police department you must take a written exam. The exam that is used is the General Educational Development (GED) test that is recognized by the Maryland State Department of Education. There are five sections to the test and must score a minimum average of 45. In the Maryland police selection process, taking the written exam is one of the first steps. Becoming familiar with the exam will only increase your chances of moving forward in this process. With our custom-made Police Premium Pack, which includes over 1,500 questions and explanations along with a personality test, you successfully pass the exam. Join us and begin practicing today!